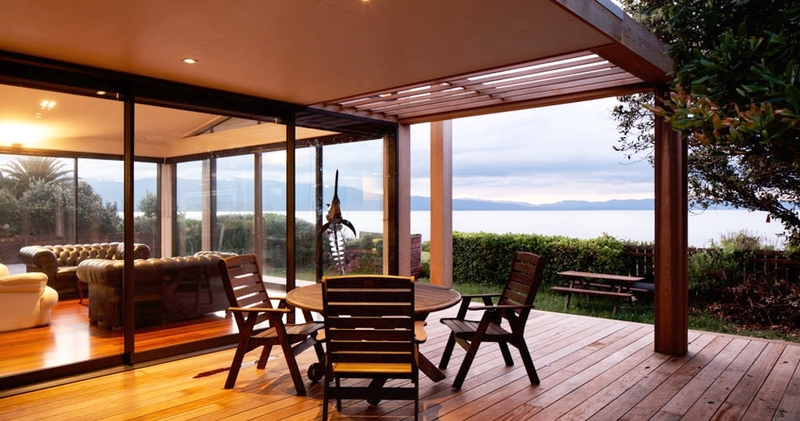 The design for this house addresses the client's need to shelter from the prevailing sea breeze whilst retaining some privacy and being able to enjoy their stunning beachfront views. 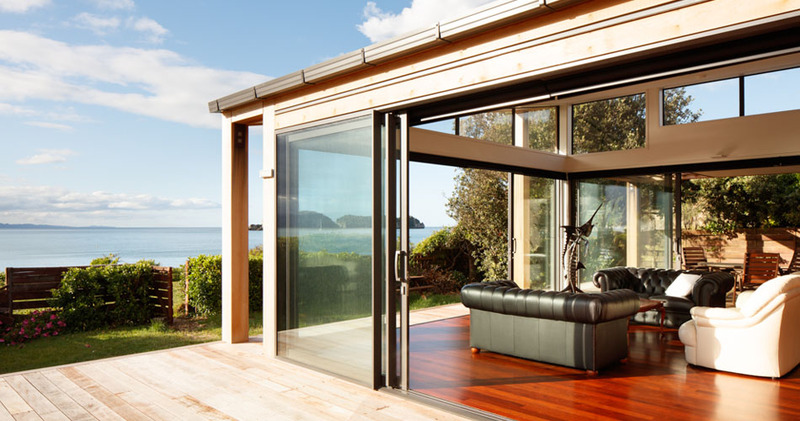 The building form creates a decked courtyard in the centre of the site, with the garage protecting views from the street, the bedroom wing to the south and the living area between it and the beach. 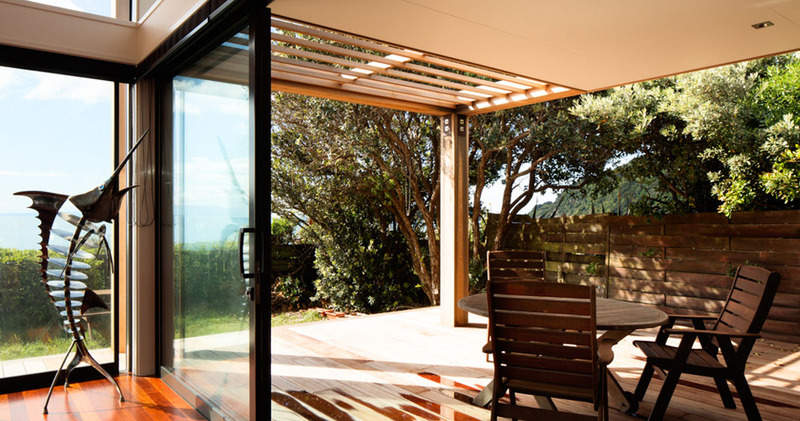 Verandahs are used to provide an accessway to the house and shaded outdoor spaces. 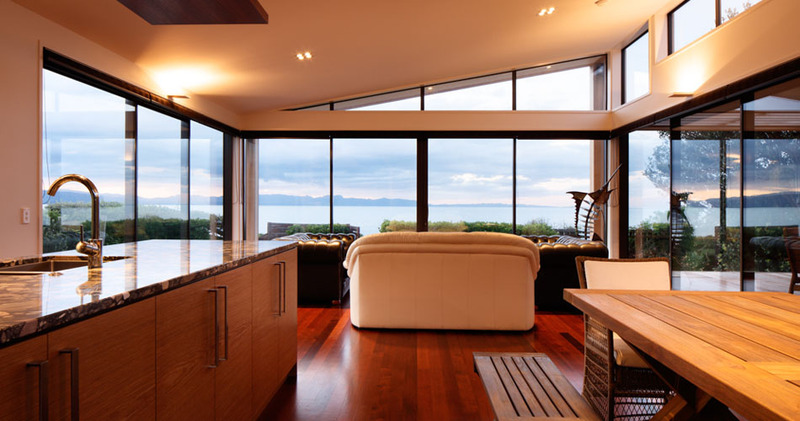 The living area, comprising sitting, dining and kitchen is a spacious, light room. 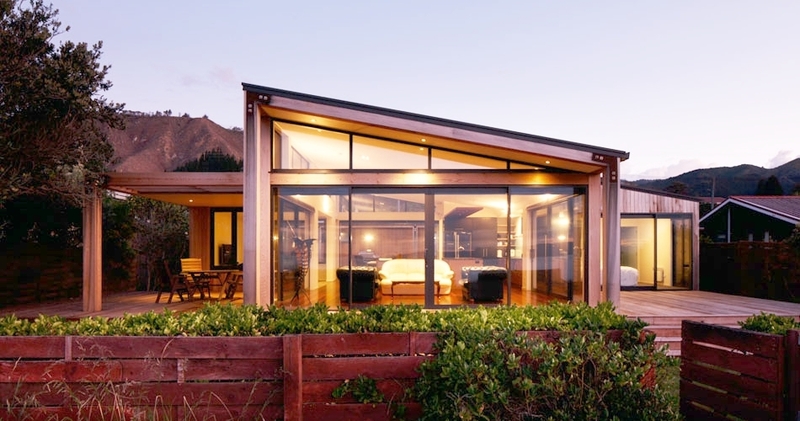 It's roof lifts to the east allowing morning sun to penetrate year round over the top of the adjacent properties. 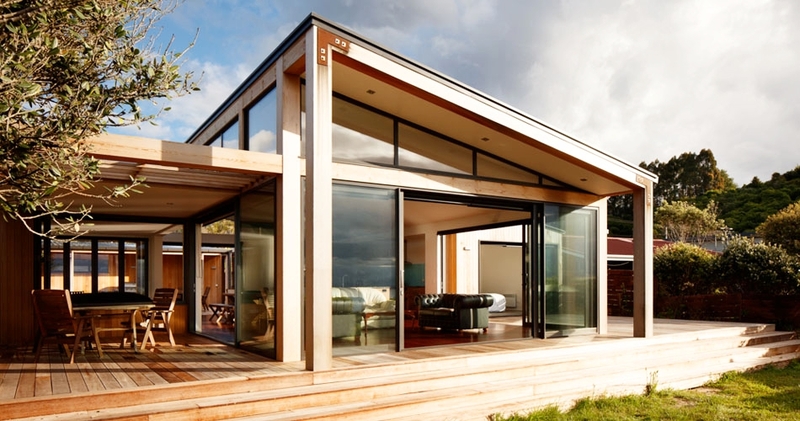 The house can be opened to the outside through many alternative doors depending of the exact wind direction.